Aperture, 2011. 208 pp., 3 color and 33 black & white illustrations, 6x8½". 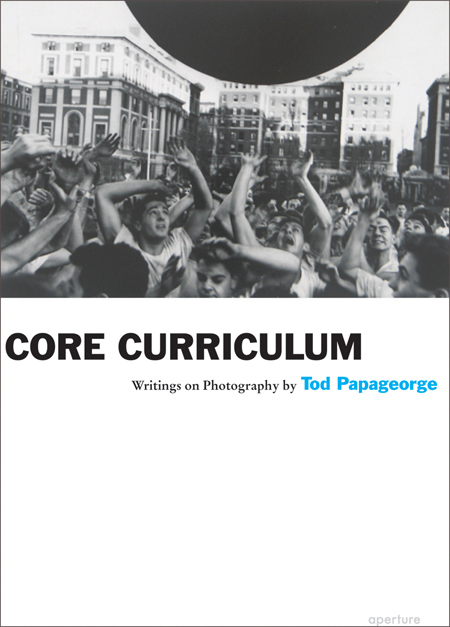 Core Curriculum: Writings on Photography is the long-awaited collection of essays, reviews and lectures by Tod Papageorge, one of the most influential voices in photography today. As a photographer and the Walker Evans Professor of Photography at the Yale University School of Art, Papageorge has shaped the work and thought of generations of artist-photographers, and, through his critical writings—some of which have gained a cult following through online postings—he has earned a reputation as an unusually eloquent and illuminating guide to the work of many of the most important figures in twentieth century photography. 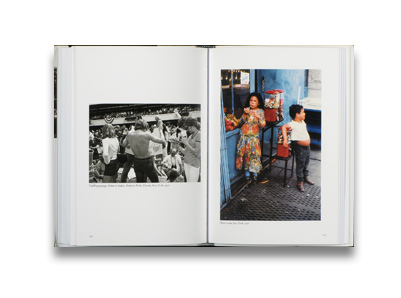 Among the artists Papageorge discusses in this essential volume are Eugène Atget, Brassaï, Robert Frank (with Walker Evans), Robert Adams and his close friend Garry Winogrand. The book also includes texts that examine the more general questions of photography’s relationship to poetry, and how the evolution of the medium’s early technologies led to the twentieth century creation of the artist-photographer. Among the previously unpublished pieces in Core Curriculum are an unfinished poem written in response to Susan Sontag’s On Photography, a profile of Josef Koudelka and a commencement speech delivered at the Yale School of Art in 2004. Core Curriculum also includes a number of interviews with this esteemed photographer/teacher/ author, ranging in topic from his own photographic work and background in poetry to his energetic observations on the art of photography.